LABOUR DAY WEEKEND: SHOP MY FAVES! I simply CANNOT believe it is September 1st!!! The summer seemed to fly by and with a blink, the kids are back to school next week. This time of year always brings back memories of fresh starts, crisp air, new school clothes, and a few fun items for the home. Today, I've rounded up some of my favourite items to shop this Labour Day weekend, from the porch chair I dream about to the snack box that we use every day throughout the school year (their lunch boxes are amazing too!). 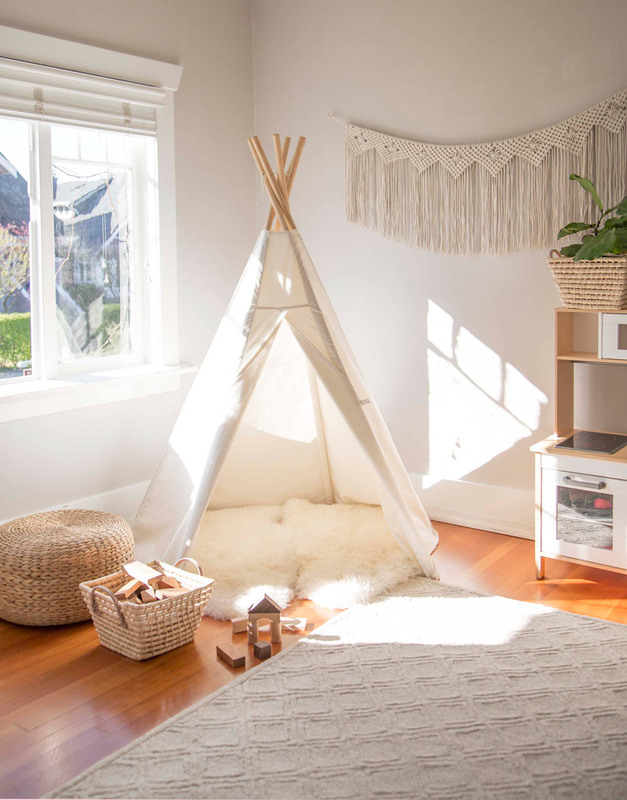 I'm excited that my favourite gold mirror is still in stock this weekend (from Ella's room below) and that you can still get the teepee we love and use in our playroom, which is a perfect way to create a rest spot for kids to relax after school. Wishing you all a happy September and a wonderful last long weekend of summer!